How Does Brave Browser on Windows Compare? Advertising pays the bills for most websites. Without ads, you wouldn’t get any content. But bad ads can trash the browsing experience. Brendan Eich — a Firefox founder — believes he has the answer: Brave Browser. Brave uses a potentially revolutionary method of ad-replacement. On top of that, it directs users to the HTTPS version of sites. While the rhetoric sounds great, does the performance match Eich’s claim? Bmark: Bmark tests HTML5 performance exclusively. It focuses on graphical performance and 3D rendering. Brave bases its code on Chromium, the open source implementation of Chrome. 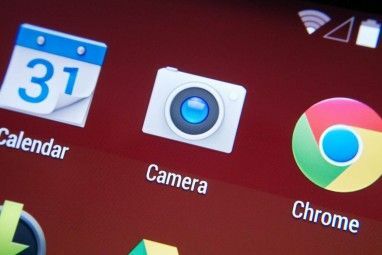 It shouldn’t surprise anyone that Brave and Chrome perform almost identically. On the other hand, Firefox and Internet Explorer fall short of its competition. In HTML5 rendering, Brave takes a slight hit compared to Chrome. Firefox comes in third while Internet Explorer seems poised to fall off the map. As expected, Chrome and Brave excel on the Octane benchmark. Firefox does well and Internet Explorer, again, comes in dead last. Even while loading its own ads, Brave Browser loads websites significantly faster than competitors. For example, Brave loads pages 49% faster, compared to the slowest browser, Firefox. This is a tremendous advantage. 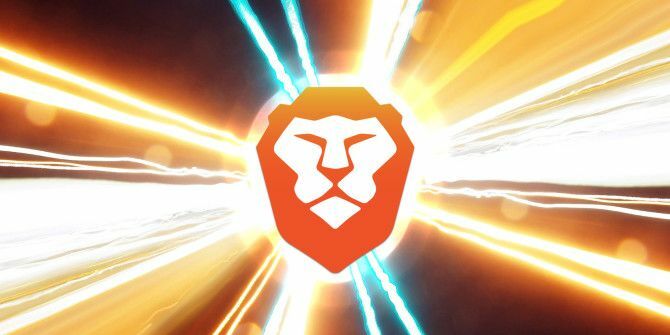 Brave does three things really well: It prevents third-party tracking cookies; it replaces ads with safer, faster-loading ads; it loads websites really fast. Users aren’t forced to into replacing-ads, either. In the Settings menu, users can choose to donate to the websites which they visit, instead of being force-fed ad-replacements. It also stymies tracking-pixels, a method used by unscrupulous advertisers to see whether or not a user opened an email. Because Brave borrows its code base from the open source Chromium project, it inherits both the good and the bad: It includes Chromium’s sandboxing technology but then it also inherits Chromium’s (and Chrome’s) numerous privacy vulnerabilities, such as the WebRTC leak bug. 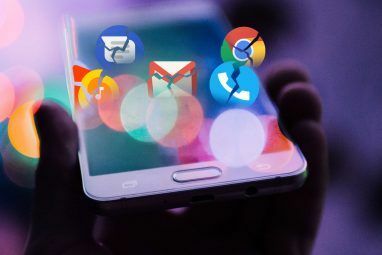 Browsers such as Firefox and Epic Privacy Browser do not possess this failing (3 great privacy browsers Three Desktop Browsers Designed To Protect Your Privacy Three Desktop Browsers Designed To Protect Your Privacy Read More ). The results are mixed. On one hand, Brave does a good job of deflecting third-party tracking cookies. But it doesn’t permit cookies from companies honoring Do Not Track. 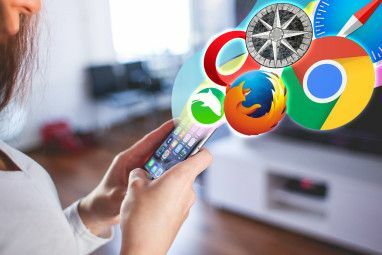 And while almost all browsers are susceptible to fingerprinting methods, Brave markets itself as a privacy-focused browser. It should offer some kind of defense against fingerprinting. And then there’s the DNS leak How DNS Leaks Can Destroy Anonymity When Using a VPN, And How to Stop Them How DNS Leaks Can Destroy Anonymity When Using a VPN, And How to Stop Them When you're trying to stay anonymous online, a VPN is the simplest solution, by masking your IP address, service provider, and location. But a DNS leak can totally undermine the purpose of a VPN... Read More , which unmasks VPN users. Overall, I’d rate Brave as a B in the privacy department. Good, but not amazing. Is Brave Browser Any Good? Yes and no. Brave offers the same robust performance as Chrome, except without the titanic library of extensions (and Chrome offers great extensions). A lack of extensions can prove a deal-breaking short-coming. On the other hand, Brave’s ad-replacement system is potentially revolutionary — but I don’t think we need an entire browser to achieve what a Chrome extension could. At present, Brave’s beta project might be preferable to Chrome, but it has some large problems. There are at least two kinds of users who might want to switch: those concerned about privacy and those concerned about morality. First, the sort of user who would prefer Brave would also want to use it with a VPN. But because of its WebRTC vulnerability, Brave users can be unmasked, even while shielded by a proxy. Second, many websites probably won’t be enthusiastic about forcibly sharing ad-revenue with a second party. Can a company — with any moral authority — force sites to accept reappropriated ad-revenue? If you feel comfortable with both points, then Brave browser might be for you. What do you think? thanks for the article. I am looking for a replacement for firefox, which has been driving me batty lately. I will not use chrome or any offshoots or I.E. I've been using Brave for some time now. And it's working great! There are a few things that it could do better, but overall it seems to be far more stable than IE. I guess I don't see it as a moral problem; they're offering a way to continue making money on the ads rather than receiving nothing. That sounds like benevolence to me. The alternative is that users, extensions, and browsers will continue to find ways to block ads altogether. I appreciate that Brave is trying to find a way to avoid the outright blocking, give advertisers a place to still get user visibility, AND still get ad money to the content providers. That's my take on Brave as well. Basically, companies like Google aren't trying to conduct business in an ethical manner. Someone has to provide another solution. Exactly right. Also, the 55% portion for publishers is higher than what they receive currently, because of the myriad middlemen each taking his cut in the convoluted ad-setting process in current use. It's really a better deal for all involved except all those middlemen, whose business models are about to be discrupted. And maybe eventually Google, which thrives on invading your privacy and selling your data to the highest bidder or the NSA. Thanks for the comment Jeff. You're completely right. Hopefully Brave continues to grow. I downloaded the Brave browser and used it for a little while tonight. I had some problems with it. The first being that it took twice as long to load as my current browser. The other problem I had was trying to scroll through a page. I could scroll to the bottom of the page using the scrolling dial on my mouse, I could only scroll all the way to the bottom it would not let me see the middle of the page, only the bottom or once there at the bottom of the page back up to the top., then when I got to the bottom of the page that way I could go to the right side of the page and scroll back through the entire page using the scroll up and down arrows at the right side of page. and get to the top. sound confusing? It was. This happened when I clicked links in my e-mail to get me to a full article that was only partially available in a newsletter I subscribe to through my e-mail. Same thing I have done with my current browser for years with no problems. That's interesting. IIRC, they are using the same rendering engine as the Chrome browser, so the graphical issues that you're experiencing shouldn't differ much from what you've seen in Chrome. It might be that it's blocking an element on the page. Selling point to whom? The publishers? Certainly not the users. It's a good thing someone is willing to create these hosts files. Creating one yourself is a time-consuming undertaking. Both the publishers and users. Apparently, users will one day receive Bitcoin revenue from ad-clicks -- although judging from how the information was worded, it seems that Brave would hold the Bitcoin and send it to publishers in exchange for an ad-free browsing experience. So users wouldn't really receive it, they'd just have discretion on where the Bitcoin goes. I'm hoping there's further clarification on how this system works. It'd be nice if they just let users keep the Bitcoin. "users will one day receive Bitcoin revenue from ad-clicks"
I'll believe it when I see it. Somehow I do not see either the publishers or the advertisers sharing revenue with the users. Even if they do share, I wonder if it will be worth the aggravation of having to put up with obnoxious, intrusive ads. Thank you for the kind words Niraj. The Hiver Chrome extension is really interesting, by the way. Why? You can just select to do disable ads mode from the menu. In reference to: I wonder how long it will be before someone creates an AdBlocker extension for Brave. Lack of extension is not a deal breaker, the privacy vulnerabilities ARE. "Brave loads pages 49% faster,"
All that means is that Brave exposes you to hackers that much faster. As A41202813GMAIL said, browser is DOA. All CHROME Clones Can Save Extensions In The Form Of .CRX Or .NEX File Formats. FF Can Save Extensions In The Form Of .XPI File Format. A - Are There Any Extensions For BRAVE ? B - If Yes, Can They Be Saved In Files ? C - If Yes, What File Format They Use ? To the extent of my knowledge, there aren't any extensions for Brave yet. I'm checking again, there's the source code, which would allow anyone to compile/fork it for XP/2003 32 and 64 and all NT5 versions of windows, which includes the 32 bit and the abominable Windows Vista. I Am 59, And An Old IBM AS400 COBOL Programmer - I Do Not Have The Professional Training To Deal With Recent Software. I Wish I Had The Knowledge To Create An OS, A Browser Or Even An Extension. If You Happen To Create An .EXE Fork Compatible With My OS, I Would Love If You Could Email A Copy To Me. B - An Extension For OPERA15+ ( Or Other CHROME Clones ) Users To Pass Pages Or Links To The CHROME Browser - It Could Be Called **OPEN IN CHROME**, Or Something. :-) It just made sense why you capitalize the first letter of every word. Is this a COBOL programming stylistic choice? If I Was Using The COBOL Style I Would Type Everything In All Uppercase, And People Would Freak Even More. I Do Type Everything In Uppercase, But Then I Use A CHROME Extension To Tone It Down A Bit - I Still Completely Freak Some People, Like A Couple Of Your Colleagues Here Are An Example. Directly Typing Everything In Title Case, Without A Single Miss, Would Be Quite A Feat. Brave is still in beta and I'm hoping that they figure out a fix for browser-finger printing along with (most importantly) the WebRTC exploit. If they don't fix at least WebRTC, then I'd agree with you. If Brave does manage to at least match Epic Browser in security, then I'd go with Brave (they're open source). All Browsers Are Ending XP Support, Sooner Or Later. This One Is Dead On Arrival. you really think developers should spend their time on XP support in 2016? No, Just Not Blocking The Browser From Installing On XP. They Could Have A Warning Like - This Browser Was Not Tested With XP, Continue At Your Own Risk - Period. It's worth checking out if you are an XP die hard. XP Runs Really Well Inside Dual Core Machines. With So Many Compatible Hardware And Browsers, I Do Not Plan On Dumping It For Many Many Many Years. Nice To Know Of Another Plan B, If Necessary. Indeed. and there's a lot of companies, offices and people who are used to it, and will keep it this way. Everything went pants-on-head retarded since Vista, with a good note for win7. So all of our hopes now stand on ReactOS. But for that, we'll need to hack more programs to run on ReactOS. Brave wants me to switch from ad blocking to ad switching? Laughable. It's an interesting proposition. Brave's ads apparently won't feature dynamic content, so in theory the footprint will be much smaller and site should still get paid. How much they get paid is probably going to be controversial. I wonder how long it will be before someone creates an AdBlocker extension for Brave. modify your /etc/hosts file. that's how I always used to block ads the serious way. You can also find plenty of these hosts files with huge lists of sites you'll block from the DNS. That's definitely the best method, but the selling point of Brave is that it provides a revenue stream to publishers.